DUBAI: Shaikh Hamdan Bin Mohammad Bin Rashid Al Maktoum, Crown Prince of Dubai and Chairman of Dubai Executive Council, has issued an Executive Council Resolution No. (5) of 2017 pertaining to the refund of fees collected for exemptions from planning and building regulations in Dubai. 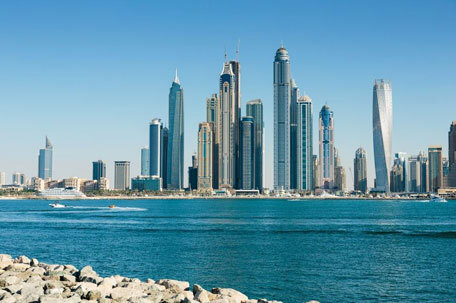 The resolution establishes a legal framework for the refund of fees paid by property owners for obtaining the Dubai Municipality’s approvals to exempt their properties from certain planning and building regulations or to change the use of the property if they did not benefit from such an approval. As per the new resolution, beneficiaries of the Dubai Municipality’s exemptions from Regulation No (10) of 2006 concerning requests of amendments to planning and building regulations in Dubai, and Regulation No. (3) of 2007 concerning requests for changes to the use of building or land in Dubai, may apply to the Dubai Municipality requesting it to refund the fees they paid previously for such approvals. The applicant must justify the reasons for not benefiting from the granted approval. In these cases, the approval will be cancelled and the municipality will deduct 20 per cent of the amount as administrative fees. The resolution is applicable to all approvals granted by Dubai Municipality on exemption requests, including the approvals granted before the enforcement of the governing regulations. The Director- General of the Dubai Municipality is authorised to issue the bylaws required to ensure the enforcement of this resolution. This resolution will be active from the date of issuance and will be published in the Official Gazette.